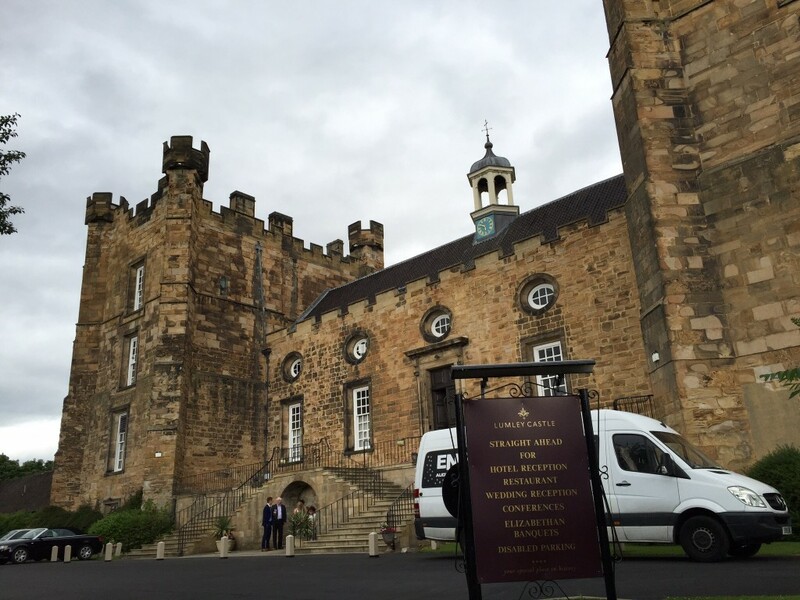 We celebrated our last night in England dining and sleeping in a castle built more than six hundred years ago. It was a lovely way to end this part of our trip. I love this country where people greet you with “Hiya” and “Luv”, and the dogs are so well-mannered that they drag their leashes behind them, not needing a human to keep them in line. 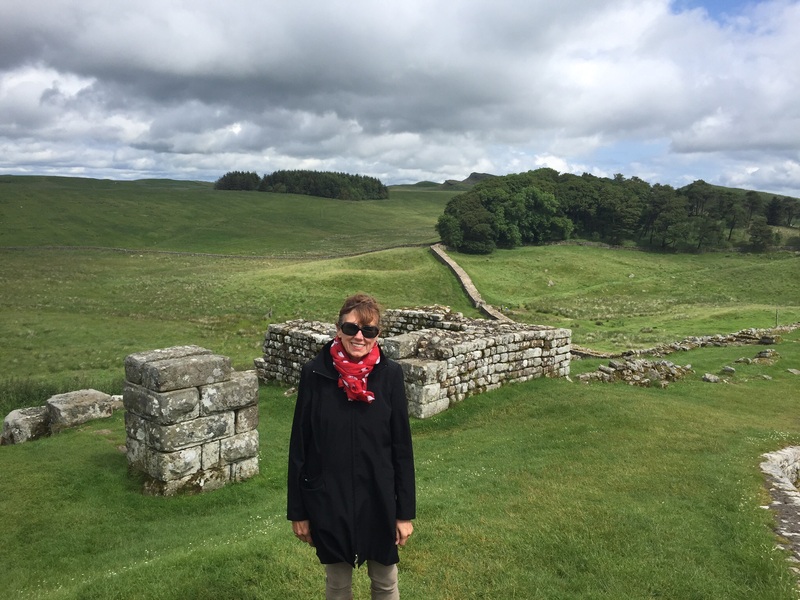 Our final stop in England was Hadrian’s Wall for a little hike. Built by the Romans in 122 AD and running coast to coast across northern England, no one knows its original purpose for sure. Maybe it protected the Roman Brits from invaders or maybe it controlled the Brits’ movements or maybe it just kept the Roman soldiers occupied. Some people, like the young man we met in York, hike the entire seventy-three miles of the wall in four to ten days. We just hiked a four-mile stretch of the wall. 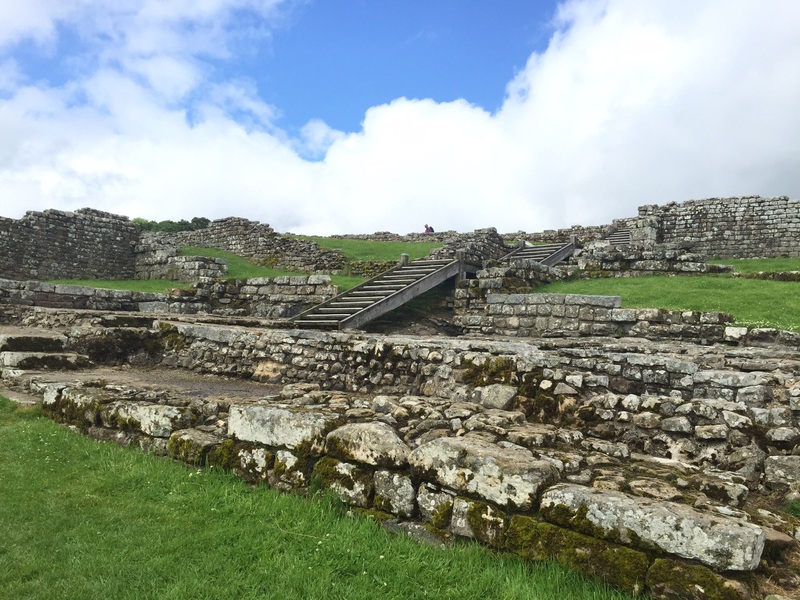 Our hike began and ended at Housetead’s Roman Fort, the best-preserved segment of the wall. Construction of the the wall began at this site. Castles were built every mile along the wall, and towers were built between the castles. Before beginning our hike, we explored the first fort the Romans built. Then it was on to North Berwick, one of my favorite places in Scotland. The Scottish Open golf tournament finished today at Gullane, a few miles down the road from North Berwick. As we were walking in to dinner, we spotted Matt Kutcher, who placed second in the tournament, sitting at a table outside.